When I read the book, there were a couple of stand-out characters for me. Venkat Kapoor, who became Vincent in the film, and Mindy who lost her snark in the movie adaption. In the book, she was so funny and sarcastic, but she was completely looked over in the movie. Forgettable, even. Still, the book was brought to life for me. 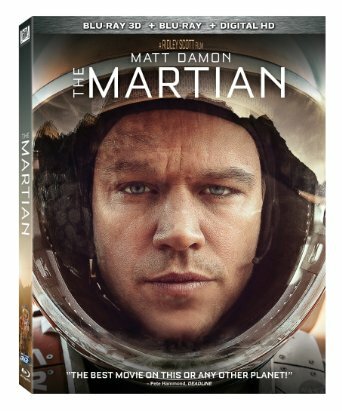 Martinez was still funny and Mark Watney, well, Matt Damon, was the perfect choice for that role. He was outstanding! Minus the character flaws and a couple of things left out, the movie was awesome. To get the terrain of Mars, the effects, and have so much of the story adapted well that I have to highly recommend it to you to watch. I do hope you read the book first though, it will make a difference. I, too, both saw the movie and read the book. I disagree with you that the movie was incredible. Although I never read science fiction, I truly enjoyed the book. I sure didn't expect to and was reading it only because my husband bought it for me so that I would go with him to see "The Martian" movie. I love Matt Damon, and he did the best he could with the script he was given, but he just didn't measure up to the book's Mark Watney. I agreed with the WALL STREET JOURNAL that the story presented in the book was brilliant. The movie wasn't. It just didn't show all the brilliant ways Watney devised to leave Mars and get back to earth.